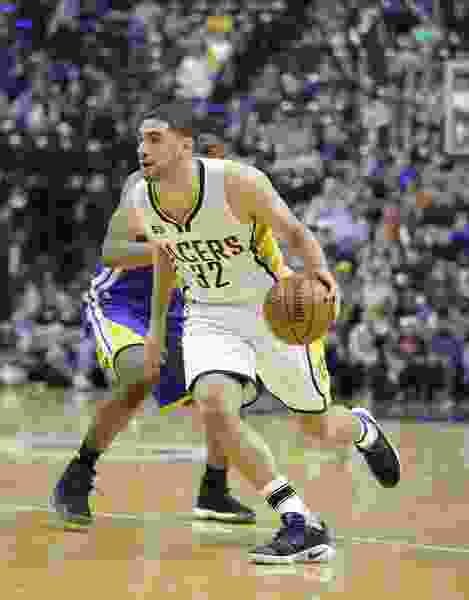 The Utah Jazz plan to sign power forward Georges Niang to a two-way deal, league sources tell The Salt Lake Tribune. The Jazz will have to waive either Erik McCree or Naz Mitrou-Long, their current two-way players, to make room for Niang, who has played with the G-League Santa Cruz Warriors this season. Sources say the Jazz possibly could waive Mitrou-Long and keep him with their G-League affiliate, the Salt Lake City Stars. Niang has started 26 games for Santa Cruz this season, averaging 18.4 points, 6.7 rebounds and 4.7 assists. Niang and Mitrou-Long were teammates at Iowa State, where Niang was one of the best players in the country as a senior. Niang, at 6 foot 7, was a second-round pick by the Indiana Pacers in the 2016 NBA Draft. He appeared in 23 games for Indiana but was waived after one season. Niang is undersized but makes up for that with skill on the perimeter and in the post. He can shoot with 3-point range or operate in the paint. He will be the fifth Jazz two-way player this season. Utah’s original two-way players were Eric Griffin and Nate Wolters. The Jazz improved to 17-24 after defeating the Washington Wizards on Wednesday night. They will face the Charlotte Hornets on Friday night to wrap up their four-game road trip.